We focus on the "3L's"
These funds are a chance for educators to join our mission and reach the children who need us the most. Thanks to research, we have found a way to increase children’s health, wellness, and education... through movement! If you are a supporter of our mission, and are interested in implementing Action Based Learning, Kinesthetic Classrooms, or Teacher Training at your school, this is the grant for you! ● Must be employed by an accredited preK-12 school or University located in the United States and Canada only. ● Must have signed letter of approval from school superintendent, principal or applicant's immediate supervisor supporting your project. ● We are looking for applicants who focus on our "3L" Mission of serving the least, the last and the lost students in areas where there is a high need to serve our students. ● Please read the requirements in detail prior to beginning the grant process, including the FAQ at the bottom of this page. The Action Based Learning Board was truly inspired to see such passionate educators on a mission to impact their schools and communities. We received and reviewed hundreds of game changer proposals from all over the country; every single one of them pulled our heartstrings! 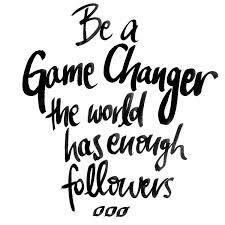 Here's to all of the Game Changer's making a difference everyday! Thank you for all those who submitted proposals for this years Game Changer Grant! Will you send the check to my school to turn into a purchase order? No, there is technically no exchange of funds. The amount awarded is automatically credited to your order, and the items you listed on your budget will be shipped to your school free of charge. How many schools are awarded funding? The number of schools varies based on submissions each year. For those who applied, and were not listed above, here at Action Based Learning, we believe in second chances! We want to extend our gratitude to you for going the extra mile to help your students. If you were not among the schools awarded funding, your proposal has been automatically entered into the second round of funding, which will be announced in the fall 2019. The second round winners will be listed on this page as well. Winners will be awarded up to $5000 for their classroom. Those eligible for round 2 of funding must have already submitted their proposal. We will not be accepting NEW proposals until next years Game Changer Grant.